Parent company TCL is shaking up its аlcatel brand. It is changing the naming scheme and restructuring its portfolio to give consumers better value for money. The company is also seeking out partnership with online retailers around the world to increase availability of its phones. The Idol name is retiring, to be replaced by the 1, 3 and 5 Series phones. These will cost under $100, $200 and $300 respectively. Each series will have different devices, each with its own strength. The company is updating its design language as well. The new phones will feature 18:9 screens made by TCL itself (which also has a fast-growing TV brand). You can also look forward to fingerprint readers across the board and face unlock support. Even the lower series will get the high-end treatment. The 3 Series, for example, will offer dual cameras while the 1 Series will feature unibody designs with premium materials. TCL will fully unveil the new devices at the MWC, this was just a taste. Meanwhile, Flipkart became the exclusive seller of “larger screen” alcatel phones in India. 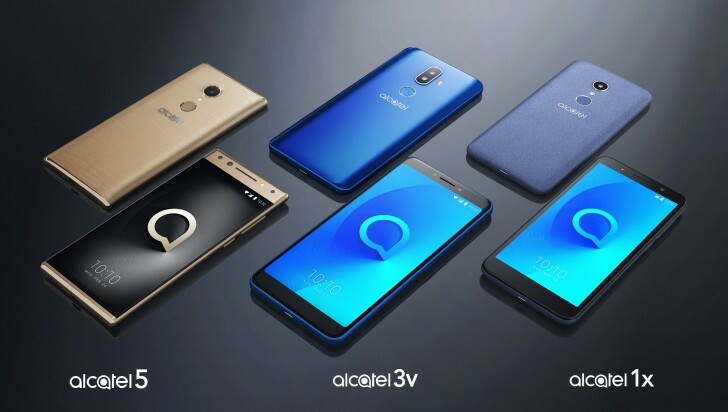 The online retailer already offers alcatel tablets and is quick to point out that the alcatel A3 10” has been its best-selling tablet in the last 3 months. alcatel tablets currently hold around 15% of the market in India. TCL is planning an expansion in the US as well. It is working with Amazon (and other retailers) to increase sales of unlocked smartphones. Its true, cause the brand is licensed by TCL until 2024.